It is not uncommon that gel polish may get thicker after a while. 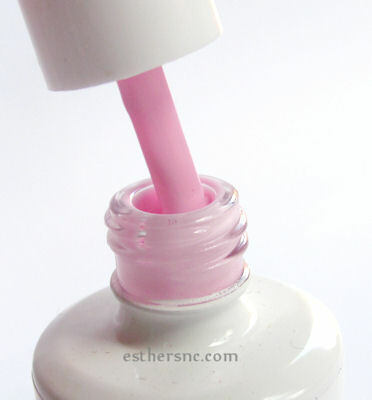 Here are a few suggestion on how to take care your gel nail polish. These suggestion are from CND website for caring Shellac but I think it works for all gel nail polish. Do not expose the bottle to light without the cap firmly in place. Exposure to light can begin the curing process, this includes sunlight and table lamps. Replace the cap any time you are not actually applying the product. This limits evaporation as well as exposure to light. Use Shellac when the bottle is at room temperature. This will insure good consistency for application and eliminate fast evaporation of the solvents. When in cold temperature, gel polish tends to be thicker than usual. Therefore, before application, let it stand in a normal temperature for a while. Also another suggestion is to wrap it in a warm damp towel. Warm the towel first in microwave. Or you can also soak the polish in a warm water in bowl and wait for about 15 minutes. So do you have any experience with thick gel polish or know the solution to it? Please share with us by leaving your comment below. I think I need new base & top coat….they are no longer colorless…kinda tan/brown now. have you tried them yet to see if they still work well? I know if often exposed to (even indirect) sunlight, some top/base coats can get yellowish but that doesn’t impact the performance. Keep your base and top out of light. I have just bought a I’ve lamp. All bulbs are working but my shellac is not curing properly. I tried doing each hand for 4 minutes but it was still sticky. Hi, if the polish inside is hard already usually there’s nothing can be done. But if the gel is still liquid but thick try to give it a few drops of Gelos Gel thinner. It will restore the consistency. waiting to see if it lasts 2. I have not used the smoothing gel.